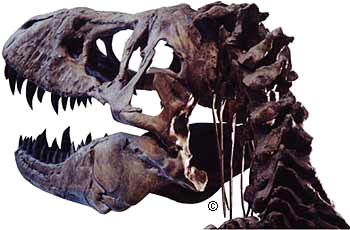 While we remain unsure of their number, there is general agreement over the existence of major extinction events: limit Ordovician-Silurian (about 440 million years ago), Late Devonian (about 360 million years ago), limit Permian-Triassic (about 250 million years ago), Late Triassic (about 210 million years ago), limit Cretaceous-Tertiary (about 65 million years ago). The Lawrence Berkeley Laboratory research team published the seminal paper, «Extraterrestrial cause for the Cretaceous-Tertiary extinction» (Luis Alvarez, Walter Alvarez, F. Asaro and H.V. Michel. Science, 208, p. 1095-1180. 1980). Later they provided further evidence (using iridium as a tracer) to document their theory that a large impact had occurred at the end of the Cretaceous, and initiated an extinction event. In 1991, scientists found the *Chicxulub crater* a 180 km diameter, 20-kilometer-deep structure in northern coast of the Yucatan peninsula at the Gulf of Mexico. Now is widely believed that the Chicxulub structure represents a large meteorite impact that was responsible for the mass extinctions of 65 million years ago, the time of the dinosaur extinction. In 2000, Luann Becker, Robert Poreda, and Ted Bunch discovered that extraterrestrial gases are trapped in "buckyball" molecules in a layer of sedimentary clay. "The discovery provides a new tool for tracing asteroid and comet impacts in Earth's geological and biological records. The fullerene molecule is a hollow, cage-like structure typically made of 60 or more carbon atoms; it is also referred to as a "buckyball," in honor of Buckminster Fuller, designer of the geodesic dome that resembles the molecule." 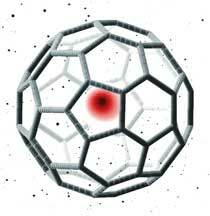 (From *Researchers Discover Extraterrestrial Gases In Buckyballs*. March 20, 2000). In February 22, 2001, was announced this new tool allowed research team's new findings about the mass extinction 250 million years ago (Permian-Triassic boundary), the Earth1s worst mass extinction, killing 95 percent of all species. "The collision wasn't directly responsible for the extinction but rather triggered a series of events, such as massive volcanism and changes in ocean oxygen, sea level and climate. Those in turn led to species extinction on a wholesale level." "Impact cratering on the Moon (and, by inference, on the Earth) suddenly increased about 400 million years ago. The sudden increase coincides with the "Cambrian explosion," a period in which life on Earth took off with a dramatic burst in the number and diversity of species. "Although most people assume that impacts cause death and destruction, it is possible that the additional stress of the impacts forced life to become more diverse and flexible," says Muller. "Just as we stress trees, through pruning, to make them give more fruit, the stress cause by catastrophic impacts may have forced evolution into new directions." (From *Lunar Cratering Shows Surprising Increase During Cambrian Explosion* . March 9, 2000). There are about 150 impact craters on Earth surface. In 2000, arrived the first experimental evidence that living organisms could emigrate in cosmic space, at least through the solar system. Study demonstrated that space rocks are capable of acting as vessels for the transport of organisms around the solar system. Over the past decade, emerged a new concern for Near Earth Objects as a potential threat. A number of public and private initiatives appeared world wide -- the Spaceguard Survey report published by NASA, the creation of the Working Group on Near-Earth Objects by the International Astronomical Union, the set up of private Foundations to coordinate the efforts at an international level like The Space Shield Foundation or The Spaceguard Foundation --. The United Nations General Assembly approved a resolution, on December 1999. "Actions should be taken to improve the international coordination of activities related to near-Earth Objects, harmonizing the worldwide efforts directed at identification, follow-up observations and orbit prediction, while at the same time giving consideration to developing a common strategy that would include future activities related to near-Earth Objects." In United States, on April 1990, AIAA published the position paper, "Dealing With the Threat of an Asteroid Striking the Earth." In 1991, the U.S. House of Representatives asked NASA to study the problem; the resulting 1992 report was entitled The Spaceguard Survey, with due acknowledgement to Arthur Clarke who envisioned such a warning system in one of their novels. The site *Asteroid Comet Impact Hazards* track this theme. Established in 1994, The Space Shield Foundation is a private, non-commercial foundation organized in Russia with international participation to promote, support and provide scientific research and technology development on hazards due to space objects impact with the Earth and protection of the planet against such impacts. Since 1994 organize the *Space Protection of the Earth conferences*. In March 20, 1996, the Parliamentary Assembly of Europe Council adopted the "Resolution 1080 on the detection of asteroids and comets potentially dangerous to humankind." In March 26, 1996, in Rome, was officially set-up *The Spaceguard Foundation*, "an association aimed at the protection of the Earth environment against the bombardment of objects of the solar system." There are Spaceguard Associations/Foundations in Croatia (Spaceguard Croatia), Germany (Spaceguard Foundation e.V. ), Italy (Spaceguard Foundation), Japan (Japan Spaceguard Association) and United Kingdom (Spaceguard UK). Supported by ESA. In September 18, 2000, was released *The report of the UK government Task Group on Potentially Hazardous Near Earth Objects*, calling for Britain to help defend against the NEO impact threat. On February, 24, 2001, "The Government endorses the view of the Task Force that since the possible dangers posed by Near Earth Objects are not limited to any one nation, an international approach is essential." To present the current understanding of asteroid science, will be held the international conference "Asteroids 2001: from Piazzi to the 3rd Millennium" , in Santa Flavia (Palermo, Italy) from 11 to 16 June 2001. "On 1st January 1801, in Palermo, the Italian astronomer Giuseppe Piazzi (1746-1826) discovered Ceres, the first and largest asteroid. The discovery of Ceres followed that of the planet Uranus, made in 1781 by the British astronomer William Herschel (1783-1822). Piazzi's discovery confirmed the so-called "Titius-Bode's law", which assumed the existence of a "fifth planet" between the orbit of Mars and Jupiter. 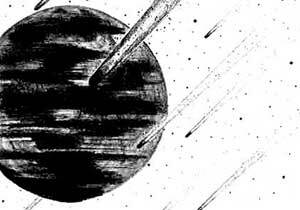 Later the German astronomer Johann Olbers discovered other "small planets", which the astronomical community called "asteroids" or "minor bodies of Solar System". Currently, we know over a thousand of these objects, an important subset of which, called NEA (Near Earth Asteroids), has become particularly important as their orbits cross the orbit of our planet, thus creating the risk of an impact on the earth's surface." (From *Asteroids 2001* site). The conference will study too the asteroids interrelationships with inner Solar System objects -- Near-Earth Objects, Meteorites, Meteor streams -- and outer Solar System objects -- Trojans, Centaurs, Edgeworth-Kuiper objects, Comets --. of most species 250 million years ago.